Hey there! The official beginning of fall will be here in a few days. For you football lovers out there, I am sure that you have happily immersed yourself into cheering on your favorite team on GAME DAY!! I know there are plenty of die hard college football and/or professional football fans. I live in Georgia Bulldog country! Go DAWGS!! I have to admit though that I am not much of a football fan because I attended a HUGE BASKETBALL university!! GO TARHEELS!! 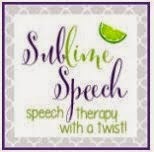 Anyhow, I look forward to a new season because I get to introduce new books in my speech-language therapy sessions and I love books! Go LITERACY! Here are my three top picks for the month of September. 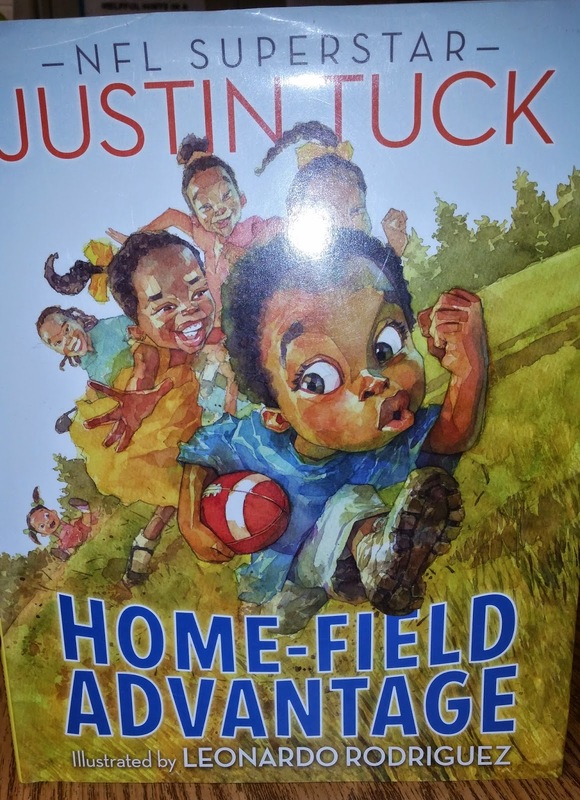 Home-Field Advantage by Justin Tuck is an awesome story about family, forgiveness, and football! The main character is the author, a football player who played 9 years for the New York Giants. He now plays for the Oakland Raiders. This story is about him growing up with his five sisters who always seem to have the upper hand and his brother. One day, his twin sisters decide to give him a haircut that turns out horrible! There are great illustrations of his reverse mohawk or bald spot down the middle of his head and him diving under his covers to hide from embarrassment! Justin forgives his prankster sisters and they all support him through the years as he excels at his craft of football! 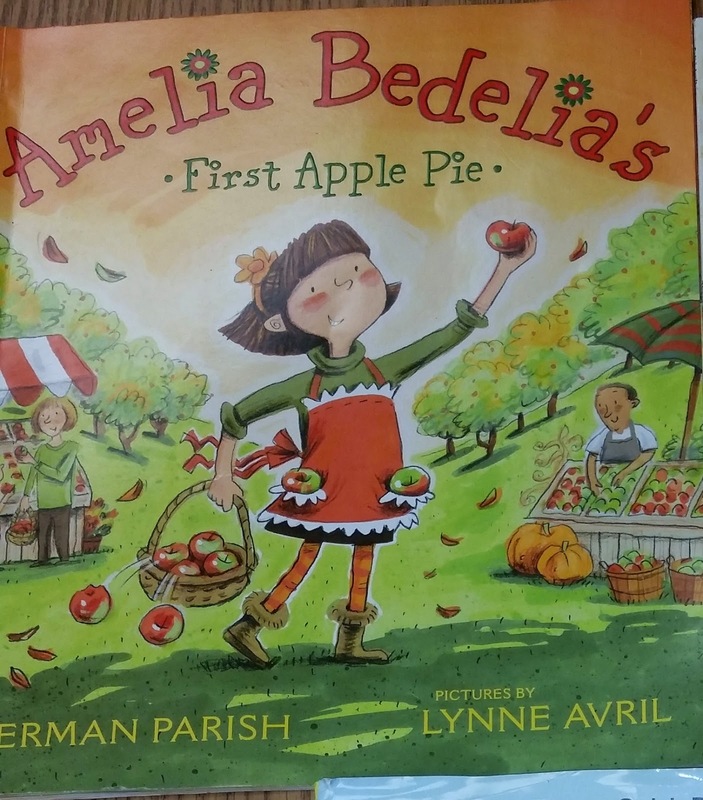 My second pick is Amelia Bedelia's First Apple Pie by Herman Parish. I love this entire series actually. This particular one is a fantastic book to practice story retell, figurative language, and multiple meaning words. The author invites you to experience Amelia as she enjoys the season of autumn. She plays in the leaves at her grandparents' house, takes a trip to the farmer's market with her grandfather to buy Granny Smith apples, and lovingly makes her first apple pie with her grandmother. You need to read the book for yourself and with your students. There is a delightful twist at the end that will have you smiling. Plus, the author includes an apple pie recipe as well! Yum! 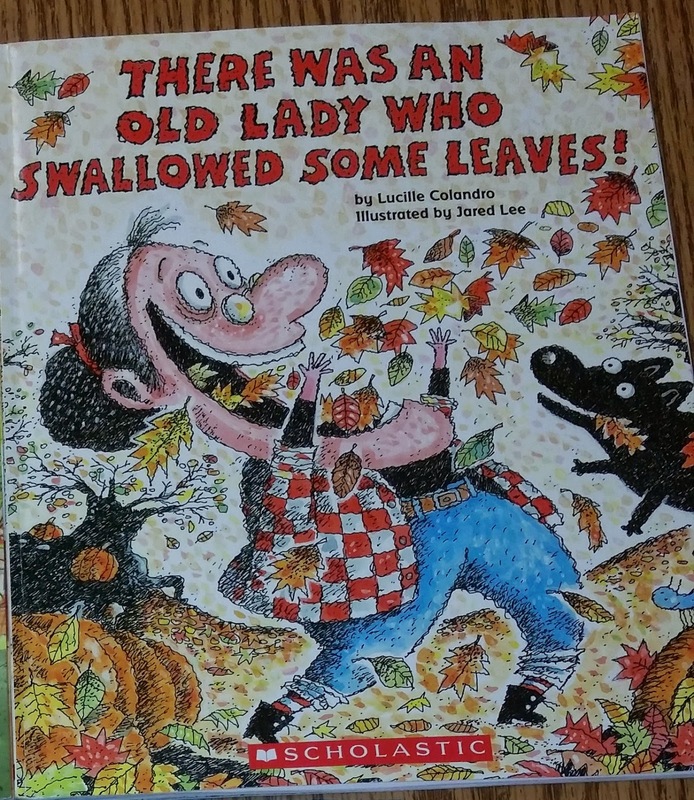 My third pick is There was an Old Lady Who Swallowed Some Leaves, by Lucille Colandro. I think many SLPs, teachers, and parents are familiar with this series. However, it is definitely worth mentioning. It is the perfect book to teach story sequencing and to give kids an opportunity to practice verbal and written story retell. 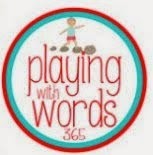 There are tons of book companion sets that accompany this book on TPT. I have successfully used visual cues with picture and vocabulary cards (e.g. with sequencing terms) to help my students retell the story. Other children just need a quick picture walk after listening to the story to retell it by themselves. What are you favorite books for September? I'd love to hear.